This is a guest post by Ian Colville, Product Manager at Aculab. Although voice biometrics are being implemented in a rapidly growing number of enterprise contact centers across numerous verticals, the market for voice technology is just beginning to pass from its infancy to it awkward adolescence. This latter phase will involve a growing number of applications both within and beyond call centers, involving many different requirements and making flexibility the key characteristic of voice biometric technologies. Tech market research and analysis firm Tractica recently predicted that global spending on voice and speech recognition technologies will grow from $1.1 billion in 2017 to $6.9 billion by 2025, highlighting the enormous growth of voice as a preferred method of interaction for a range of use cases. The expansion of voice authentication into diverse scenarios will drive demand for biometric systems that are architected to be flexible enough to support integration with other biometric modalities, additional authentication factors, and other capabilities. Network forensics, behavioral biometrics, and other technologies are frequently integrated with voice authentication as additional security layers. Scalability, multi-tenancy, active and passive speaker input and other capacities will also be needed to support the growth in voice authentication. In Aculab’s “How to secure your solutions with voice biometrics” webinar on October 18, 2018, you will learn how voice biometrics can be deployed for any service delivered over the phone that requires authentication to deliver four major advantages. In addition to increased security and fraud mitigation, and a superior customer experience, voice biometrics frees call center employees to dedicate their energy to helping customers instead of asking KBA questions over and over again, improving workplace morale, staff retention, and ultimately benefiting the customer experiences. 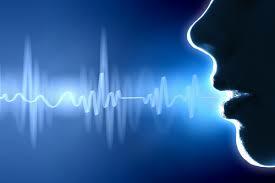 Finally, customized voice biometric technologies easily pay for themselves. There are a whole host of contact center metrics that can be positively impacted by using voice for identity verification, but the reduction in call time alone makes a positive ROI readily achievable in less than a year. – How VoiSentry works – including a demo!